Can an oil extract from the hemp plant work miracles? This article will save lives. Read the whole thing and be sure to watch the video tutorial at the bottom. It is the best I have ever found. Note from author: I am a writer so excuse the length of this article. In fact, all my articles run long. It is not necessary to read any of them in one sitting. Just be sure to watch the video at the bottom ASAP. It is that important!!! Homeostasis is the most important term you will ever hear about the health and longevity of you, your family and friends. This article and the video at the bottom will explain it fully. As Veterans, we have been led down a very dangerous Garden Path. This garden is full of toxins and poisonous thoughts and ideas. Read more on Homeostasis below. How many suicides do we have to hear about that are caused by these two incredibly bad ideas alone? Top doctors from around the world are becoming what the younger people call “Woke”. They also see the destruction caused by Big Pharma and their greed to flood the world with Opioids and other toxins that just do not work. They may lower some pain levels but at what cost. The side effects are worse than the pain. Watch the episodes on this subject on 60 Minutes and the latest articles in magazines like Rolling Stone. The Corporate Greed of Big Pharma is killing whole cross sections of young and old alike. At the bottom of this Blog, Article is a link to an important follow-up to the 60 Minutes investigation. This whole Opioid Epidemic is scaring doctors straight. Many no longer trust the drug manufacturers. For too long many Doctors and Psychiatrists have given up Natural Medicine and Talk Therapy because of the constant bombardment by the War Machine which is Big Pharma and the Insurance Industry. Their control of the medical schools is overwhelming the young doctors who sacrifice so much in their desire to help people. They are bombarded from day one by the Drug Companies. Medical students are subjected to a barrage of advertising that inevitably leads to a physician-industry connection that can be harmful to our health care system. Medical students’ exposure to pharmaceutical marketing begins early, growing in frequency throughout their training. Students receive gifts such as free meals, textbooks, pocket texts, small trinkets and even drug samples. Forty to 100 percent of medical students report exposure to the pharmaceutical industry, with clinical students being more likely than preclinical students to report exposure. The number of students recalling over 20 exposures to marketing rose from 33.3 percent to nearly 72 percent as students entered their clinical training. Pharmaceutical companies, recognizing the formative nature of the clinical years of medical education, seek to form relationships with medical students years before they are ready to independently practice medicine. There are many brilliant doctors and researchers in and around the military and our government. The ones that can’t be bullied by the corruption of Big Pharma and Big Business can do wonderful work to push the envelope in the right direction. I have traded information with doctors from the Pentagon that have developed Protocols using high doses of Omega 3 that I call Brain Butter. This one thing alone is taking veterans right out of PTSD, Traumatic Brain Injury (TBI), Suicidal Thoughts and even Dementia and Alzheimers. Many of these above issues are caused by inflammation of the brain and body. The Protocol by Dr. and retired Colonel Mike Lewis calls for high doses of Fish Oil that is saturated with Omega 3 fatty acids. Dr. Lewis is now the head of a brain research institute and lectures on Omega 3 Fatty Acids and CDB Oil. CBD Oil is one of the best anti-Inflammatory substances ever found. 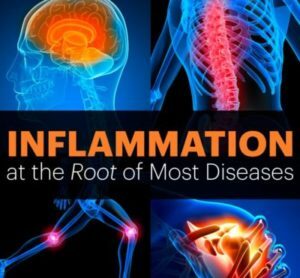 Is Inflammation the root of all evil in our brains and bodies? Pretty Much Yes! Controlling and Reducing Inflammation is the Key to living a pain-free life! Omega–3 fatty acids (fish oil) as an anti–inflammatory: an alternative to nonsteroidal anti–inflammatory drugs for pain. … An alternative treatment with fewer side effects (if any) that also reduces the inflammatory response and thereby reduces pain is believed to be omega–3 EFAs found in fish oil. Inflammation has been found to be associated with just about every health condition. Researchers are furiously investigating chronic inflammation’s effects on health and possible preventive medical applications. Why is it a new concept? Because modern medicine focuses on treating symptoms, not addressing the root cause of an issue. Arthritis is inflammation of the joints. Heart disease is inflammation of the arteries. Instead of taking a medication to reduce joint pain or lower cholesterol, we would be better served by reducing inflammation in the body. People like Dr. Lewis and researchers like myself have now discovered CBD Oil from the Hemp Plant. We found that the CBDs are extremely important for homeostasis or our bodies ability to heal themselves and stay balanced. Fish Oil and CBD Oil are incredible anti-inflammatory substances. The best all natural ones ever found. Plus those oils flood and saturate the brain similar to a calming warm mineral bath is for our muscles and joints. 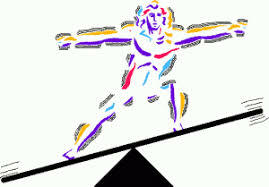 What happens when our Bodies are Out of Balance and Stressed to the breaking point? When our bodies are out of balance we suffer the bad physical and mental problems and feelings that come along with all the so-called mental and physical illnesses. I say so-called because the list of made up names grows every week. The less aware doctors give these problems bizarre names and throw drugs at them. 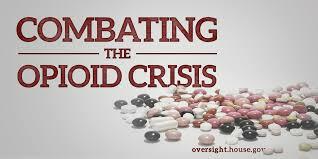 They then throw more drugs at the problems caused by the toxic side effects brought on by the drugs. This continues until you are in the hospital with things like Congestive Heart Failure. Congestive Heart Failure is usually the result of the combination of Legal drugs given to us by our doctors. Millions of people are on 8 or more at any given time. For more info on this follow the link at the bottom of this Blog Article. Do Drugs have Side Effects? Just listen to the commercials for that answer. The tendency of the body to seek and maintain a condition of balance or equilibrium withi n its internal environment, even when faced with external changes. A simple example of homeostasis the body’s ability to maintain an internal temperature around 98.6 degrees Fahrenheit, whatever the temperature outside. Think about that for a second. Our bodies immune system works in so many miraculous ways. It is impossible for most of us to get our heads around how complex our bodies actually are. We walk around in the most advanced hospital unit the universe has ever seen: Yes! I am talking about our own Bodies! If left alone with just some reasonable nutrition our bodies will heal from anything and everything so long as it is in a balanced state. It is now extremely easy to load our bodies with all the nutritional building blocks that we no longer get from our stripped down bleached out food chain. Starting last year I began hearing a lot about CBD Oil extracted from the hemp plant. More great news: Through my research, we found that CBD Oil is also loaded with Omega 3, 6, and 9!!! Yes! Much more Brain Butter to saturate our brains and balance out the opposing thoughts brought on by memories of a Warzone and trying to navigate today’s social and workplace minefields. I started talking to people all over the world. Everyone was now talking about CBD Oil as if it was The Miracle Drug of all time. Is CBD Oil a miracle drug? No!!! When people hear things like a miracle cure their BS antenna shoot right out of their heads. CBD Oil will seem like a miracle until we have the scientific facts that show how Homeostasis works and how CBD Oil positively impacts that balance. Homeostasis is our bodies reaction to Super Foods. At the bottom of this article is the most important 20-minute video you will ever watch. It starts out sounding like most Health Videos you may have seen before but stay with it and quickly it moves on to an easy to understand and entertaining guide on how important Homeostasis is for not only our bodies and brains but also how CBD Oil is impacting the health and vitality of our children and even our pets and animals as well. We are all under attack!!! Sadly when we left combat we didn’t leave all warzones behind. We are now in a much larger war zone than ever before. We are constantly under attack by our environment. We have enemies in our air, in our water, and in the walls and attics of our very homes. We breath exhaust fumes on our way to work and asbestos in many of the older workplaces once we get there. While we are at work we are attacked by heavy metals, lead in the pipes, and even the innocent cough or sneeze of a co-worker. Why do we all laugh when we hear someone sneeze? When our immune system is in a weakened state that is actually not a laughing matter at all. Make no mistake this war is escalating and getting far worse every year. None of us are immune from this assault! Sorry but the gyms are full of toxins from the heavy breathing and perspiration going on all around us. How many of you have kids that come home from school with running noses and coughs every other day? OK! Enough Doom and Gloom. How about a real answer that will give you all the tools you need to charge right through all this Toxic Soup like Superman? Those toxic bullets will bounce right off you. The video below will change your outlook and impact the lives of you and your loved ones. Our bodies lose millions of cells every minute. How would you like to exchange those cells with Bright and Shiny new ones instead of the limping, broken shells our bodies give us thanks to the American Diet. 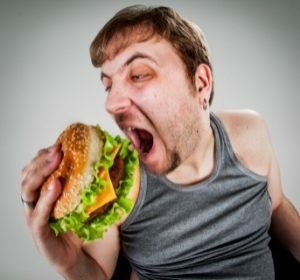 Most peoples new cells are fueled by oozing sacks of cheeseburgers and grease dripping from the boxes of pizza. I don’t know about you but that is enough of a graphic brain fart for me. I don’t want that in my head any longer. Please excuse my playful use of words and pictures. Some of you know that I also write fantasy and Scifi. I do get carried away😊. However, about this subject, I am extremely serious. Below is the most important Video you will ever watch!!! Watch it several times and send it to everyone you care about. Then ask me about all the research we have done to find the best CBD Oil out there. CBD Oil is the biggest and Brightest Star on the Preventative Medicine Horizon right now. This can be good news but with everything new and exciting there can be bad news. Watch the video below for all the good news. The bad news is that Marijuana, CBD Oil, and Hemp have truckloads of revenue rolling in. That brings the Fast Buck Buckaroos out of the woodwork. One Big Issue: Many people confuse CBD Oil with Marijuana. They are plants from the same family however the CBD Oil I am dealing with has virtually no THC which is the psychotropic element that gets people high. It is about .003 percent THC. Sorry, no munchies. The CBD Oil I get from a company called Hempworx is organic. No crop sprays of any type. When Myclobutanil is applied to tobacco or to marijuana, very serious health problems do occur: Myclobutanil releases highly toxic gases if heated past its boiling point of 205°C (400°F) Butane lighters, such as those used to ignite marijuana for consumption, produce temperatures in excess of 450°C. These toxic gases include hydrogen chloride, hydrogen cyanide, and nitrogen oxide. This is why Eagle 20 EW is strictly forbidden by law on those crops in most countries. Many local Pot Shops are now selling all types of crap and calling it CBD Oil. Some *ex-hippies are making all kinds of bathtub brews from marijuana and hemp and even kitchen herbs. Many or most are loaded with any and all manner of crop sprays. Many extremely toxic. Disclaimer: Sorry Old Hippies. I am one of you. I came of age in the 60’s. Now we’re in our 60’s and 70’s. None of us thought we would live past 40 so we didn’t follow ALL the rules. We burned the rulebook along with our Draft Cards. Some Quick Change Artists are taking things like MCT Oil (coconut oil) and adding herbs to it for taste and color. Now MCT Oil is good for us, however, compared to CBD Oil it is very inexpensive to manufacture. MCT Oil is a good product to make my Bullet Proof Coffee with in the mornings. It is very pure coconut oil. It is very inexpensive compared to CBD Oil and it doesn’t do much if anything for Pain, PTSD or any of the other things we want the CBD Oil for. I personally use things like MCT Oil and Hemp Seed Oil for my issues with dry skin. It is awesome for that. I live out in the high desert. I buy three 16 oz bottles online for just $20.00. That is .41 cents per oz. People are trying to sell Hemp Seed Oil as CBD Oil and asking $35 to $45 an oz. It may be more processed than what I use on my skin but you get the idea. When you hear “We have CBD Oil for half the price”, understand that this means it actually is things like Hemp Seed Oil. It is not Full Spectrum so it only effects a few of our Cannabinoid Receptors throughout or brains and bodies. This is a huge difference for people that need serious help. If you or your family are dealing with things like MS, Fibromyalgia, Diabetes, Dementia to Alzheimer’s you want the real deal. Even though CBD Oil and our Cannabinoid Receptors in our brain’s and entire bodies have been important to us since the beginning of time CBD Oil is a new Modern phenomenon that is being talked about all over the world. Our Cannabinoid system was unknown until it was discovered in the 1990s by Dr. Raphael Mechoulam an Israeli Doctor. A Google search will bring up a ton of good info on this. In the early 1900’s Hemp was blackballed by our government in the United States. It was lumped together with Marijuana. Look closely at the Movie Poster on the right. They look like Vampires and Zombies. They showed this movie at San Fernando Jr High when I was there in 1959. One puff and you were out killing people. We all know someone that smokes pot or eats brownies. The only way to get them off a couch is to tell them there is some Ben and Jerrys in the freezer. They would kill a pint of that in an instant!!! Hemp with its CBD’s was in our food chain for thousands of years. Our own bodies manufacture some CBDs through other sources but very small amounts without the hemp. Before Hemp was Black Balled most of the Modern Diseases were unheard of. The claim by the World Health Organization is that only 30% of cancer deaths can be prevented. That is largely a misguided and misinformed statistic since cancer was a rarity more than 200 years ago, making the majority of cancer deaths 100% preventable since they have little to do with genetics or factors beyond our control. A recent study of ancient remains has found that cancer is a man-made disease fuelled by the excesses of modern life. Tumors were rare until recent times when man-made environmental pollution and chemical-laced nourishment were introduced into the food supply. Hemp is the oldest harvested plant in the world. It was a large part of our diets for ten thousand years or more. Henry Ford began making car bodies out of hemp. Lighter and stronger than steel. The list goes on and on but I believe I have proven this point! Hemp is still having issues in other countries. Most of what comes out of Canada is Hemp Seed Oil because as of now Canada has a law that they can’t extract CBD Oil from the whole plant. Just the seeds and roots. Full Spectrum CBD Oil like Hempworx is from the whole plant and is much stronger for medicinal use. Canada’s law will change and then their CBD Oil exports will cost much more. Hemp Seed Oil comes from the seeds alone and is inexpensive to press out the oil. Currently, Canadian hemp can be used only for seed and fiber, with the leaves and flower unusable for CBD extraction without a special license from the national health agency. Let me try to drive this issue home and put it to rest. Is Hemp Seed Oil good for us? Sure to a much lesser degree. Is it cheaper? Yes. Is it Full Spectrum CBD Oil? Positively not!!! Hemp Seed Oil is fine for minor aches and pains and dry skin but many of the people I deal with such as our Older Veterans have serious health and mental issues. They need Full Spectrum CBD Oil with no toxicity such as toxic crop sprays many growers and cheaper products use. Our products are non-GMO, Organic, made in the USA, and very rich in the raw materials we use. We are confident in our products because we utilize the full spectrum Cannabis plant and our customers will get better results with our products than any others in the marketplace! All our hemp crops are grown free of chemical fertilizers, herbicides, and pesticides, so our quality starts with our hemp plants. From the time our hemp oil is harvested to the manufacturing and shipping of our products, we test our hemp oil multiple times to ensure accuracy in potency information and to check for contaminants like pesticides, herbicides, heavy metals, and mold, as well as cannabinoid content. We also use a supercritical CO2 method when we extract our hemp oil, instead of harsh solvents. CO2 is a much healthier choice than other potential solvents and is “generally regarded as safe” (GRAS) by the FDA. Let’s use Pure Full Spectrum 500 Mg CBD Oil for an example for this article. For one 1 oz bottle, we pay retail $69.95 + S&H. That is what Ginger and I use several times per day from a company named Hempworx. We use it sublingually (under our tongues). That is the best way to get it into our bloodstream. It doesn’t get messed with by the stomach acids. For example Ginger and I make our own Liposomal Vit C. Most vitamin C loses much of its potency traveling through our stomach. Skin and Muscle Aches and Pains:We also use CBD Oil topically in areas of pain. I have severe shoulder pain and Ginger has knee pain. Our pain issues are caused by inflammation. Several drops rubbed into those trouble spots and the inflammation is gone within minutes. Yes, the pain is gone in minutes. In the beginning, we bought CBD Oil from another reputable company for $150 per oz. We switched to Hempworx because their product is ½ that price and the lab tests are the same. They are both 500 mg.
Hempworx does have a 750 Mg for $20 more per bottle but we are getting the pain relief we need with the 500. For people with more serious illness, you will want to try both to see which one works for you. Everyone’s bodies are different. Both companies CBD Oil gave us the same results so looking for a better deal is fine so long as you do the research that we did to get to this point. Do not be fooled by the word games that many companies are playing. Be positive that you buy Full Spectrum Pure CBD Oil that is not cut with things like MCT Oil. Getting the best price for the best product is very important to me. I work with Veterans all over the world. We are working hard to get it into the hands of our fellow vets. CBD Oil would be fantastic for their health. Many of them are on fixed incomes or worse so the price is an object! But not if it requires buying a lesser product such as Hemp Seed Oil that won’t help them. Are you convinced that CBD Oil is Life Changing and ready to try it? Here you go. Purchase with confidence. The company I buy from has a 100 % Money Back Guarantee!!! Just send back the bottle with any unused portion. I am so happy I found this product and this company that I became an Affiliate. Yes, I am biased. It took a lot of research to become that way. The profits from this endeavor allow me to give CBD Oil away to other vets. As of March 1, 2018, I have put into development FreeCBD4Vets.Com. I will let everyone know when it is up and running fully. It involves 401C corps and a bunch of hoops we will have to jump through. I have given what I can to vets I know. Feel free to ask for verification.